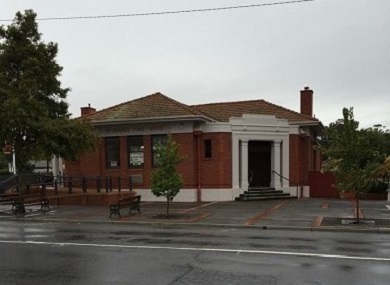 This modern Post Office is fitted out to the latest Australia Post requirements. All normal Post Offices services are performed here including Passports working with children and all EIS Services and I D Checks etc. This business is showing consistent growth with the commissions in excess of $180k. and excellent profits. There are 510 boxes installed with space to add more. 15 year lease with a Modest rent of $ 577 per week plus Gst. This business is well positioned within a friendly community. This business is ideal for a couple or a single operator with part time help looking for a top notch business. Ballan is situated within an easy 1.25 hour’s drive from Melbourne towards Ballarat and less than 1hour from Geelong making this an easy commute from the Western Suburbs. The current owner has operated this excellent business for approximately 10 years and is selling looking to retire. The business is located about 30klm from the city of Melbourne on the Yarra River and surrounded by a State Park. The area developed as an artists colony but during the 20th Century became a very popular place to live with larger acre type properties being developed along with quite a bit of normal residential development. The area boasts all the sporting, social and educational amenities of a suburb but retains a very rural type atmosphere. Located in a unique location where price is not always the major consideration and where community awareness and service is held in high regard. Two terminals with all postal services including Passports and EIS. This modern 3 Terminal Post Office is fitted out to the latest Australia Post requirements. The shop is situated in a very prosperous town where there is steady growth created by the vibrant demographics of the area. The shop is situated in the middle of the main shopping area and is well patronised by the locals. All normal Post Offices services are performed here including Passports working with children and comprehensive range of services, along with all EIS services etc. This business is showing consistent growth with the commissions around $298k per annum. There are 600 boxes installed with space to add more. Extremely long lease and a modest rent. This business is well positioned within a friendly community ideal for a couple or family looking for a top notch business within 2 hour’s drive from Melbourne.